In February 2017, Martin Roll gave a speech to Russian entrepreneurs and leading business people about doing business in Asia at the Singapore Embassy in Moscow, Russia. During the session, Martin Roll explained the various macro developments in Asia and how strong branding can create impact for Russian companies while accessing Asian markets. He also advised Russian companies on how to achieve success in Asia through understanding the Asian consumer and staying true to its roots. The speech and discussion was organized by International Enterprise Singapore (IE Singapore), Singapore Tourism Board and Singapore Airlines, and hosted by the Singapore Embassy. A rapidly changing landscape will emerge in Asia over the next 5-10 years, where Asia will continue to play an increasingly global role. 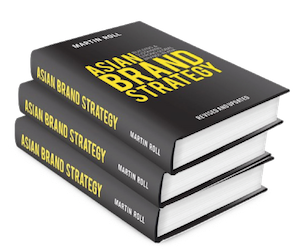 Martin Roll believes that Asia will be the future global leader. With huge demographic shifts including the rising middle class that is projected to form 66% of the global population in 2030, and an expanding proportion of youth across Asia, businesses need to sit up and think of ways to leverage on these trends. Asia is currently seeing a gradual shift away from Western style capitalism, which has reigned for the last 200 years – one needs to look no further than the rapid rise of China to agree. With these developments, the West will gradually move into a partnership role, with new trends and global brands emerging from Asia. Amidst these developments, it is predicted that businesses in Asia will outperform the rest of the world in the next decade. Of all cities in Asia, Singapore is positioned to be the global hub. With a population of 5.6 million and an annual growth rate of 1.6%, there is a lot that attracts global businesses to do business in Singapore. With world-class infrastructure, an efficient legal system, inviting government policies, a diverse talent base and a well-connected marketplace, Singapore is an ideal springboard for any company seeking access to Asian markets. However, for Russian brands to be able to successfully penetrate the Asian market, it is important to understand how to brand in Asia, and to get to know the Asian consumer well. As companies globalize, the growing emphasis on branding to drive shareholder value and competitiveness will move up the boardroom agenda and become one of the most prominent value drivers in Asia. Boardroom mindsets and beliefs, skills and resources will be the drivers of successful brands for the next decade. Martin Roll explained that brands must be run at the boardroom level and be an integrated part of all strategic issues. Therefore, a Chief Marketing Officer (CMO) is paramount to represent a marketing agenda at the boardroom. The first thing to note about Asian consumers is that they are a heterogeneous group. Traditional values like the importance of work, filial piety and family are important in Asia, so brands need to understand how values can impact consumer decision making and brand loyalty. However, it is also interesting to note that affluent Asia behaves more like the Western world – this is where brands can adapt their successful strategies in the Western markets. Aspirations increasingly play an important role, so there is potential for brands to understand how Asian consumer aspirations drive decision making, sales and loyalty. In addition, although Asian countries are generally still conservative on gender issues, that is changing. Only with a strong understanding of Asian consumer behaviors and perspectives on issues, can Russian brands then move on to consider strategies for market entry into Asia. Russian brands need to accept that Asia is a fragmented marketplace and a mosaic of markets and cultures. They need to appreciate Asia’s rich history, be culturally knowledgeable and sensitive, and acknowledge the differences in consumer mindsets between Asia and the West. In terms of brand positioning, the brand needs to build resonating stories and stay true to the brand’s core values. These are the drivers that will enable the Russian brand to effectively communicate its brand proposition to Asian consumers. Despite the significance of a brand’s country of origin, Martin Roll advises Russian companies not to try and escape their roots. If French brand L’Oréal wants to communicate a thought about beauty, it must do so from a particular French viewpoint in order to get consumer buy-in. In some cases, a company can help enhance the national branding of a country in the global arena – think IKEA for Sweden, BMW for Germany, Singapore Airlines for Singapore, and LEGO for Denmark. This idea applies similarly to Russian companies. Some feel that Russian roots can be a hindrance to doing business in Asia due to Russia having a perceived “dodgy image”. Rather, Martin Roll believes that Russian companies can benefit by focusing on their good reputation for engineering, a vibrant start-up environment including development in digital. He pointed out that when a product or service is truly great, no one really cares where it is from. A good case in point is Korea, whose reputation for quality has been greatly enhanced by Samsung, LG, and Hyundai. For example, Korean cosmetics and beauty company Amorepacific has successfully exported Korean beauty across Asia and the world with its numerous cosmetics brands e.g. Laneige. Strong brands have two basic components: a brand promise and brand delivery. Brand promise consists of the brand’s essence, identity and position. The brand delivery revolves around the brand attributes, benefits and values. It is essential that both brand promise and brand delivery are equally balanced and leveraged, with uniqueness and differentiation as key drivers. According to Martin Roll, Singapore Airlines is one of the most iconic Asian brands with technology and service as its key drivers. It is a great example of how the brand promise and brand delivery has been well-balanced and managed since the airlines’ inauguration in 1972 in Singapore. The brand promise of “A Great Way to Fly” with its emphasis on service and technology excellence has long served the airline very well and has been consistently communicated since the airline was founded in 1972. In addition, Singapore Airlines runs one of the most comprehensive and rigorous recruitment and training programs for cabin and flight crew in the industry to make sure the SIA brand experience is fully and consistently delivered. The training program for new crew is 15 weeks long – twice the length of the typical programs in the industry. This has resulted in numerous awards and recognitions for its service excellence and well-trained staff at all levels. Furthermore, for a brand to successfully deliver on their brand promise, it is imperative for it to identify and nurture talent who are self-motivated and creative, and who are able to go the extra mile to deliver great customer experience. By ensuring that these 10 crucial drivers of global brand excellence are present, Russian brands will be on track to build a successful branding strategy and manage its implementation in Asia. To successfully achieve branding objectives, Russian brands must follow a comprehensive brand strategy framework supported by a systematic process throughout the organization. Martin Roll emphasizes that the global shift to Asia will not be going away. New consumer categories are continuing to emerge in Asia and urbanization will contribute to overall growth, providing new opportunities for global and Western brands. Nonetheless, products will still be the heroes as Asian consumers still value authenticity and unique brand stories. In light of increasing consumer demands, a relentless focus on the end-to-end consumer journey, a high quality of service and the overall customer experience is required for success in Asia for Russian companies. Martin Roll will deliver a keynote speak and moderate executive panels at the forthcoming Start-Up Village 2017 (6-7 June in Moscow). Startup Village is the largest startup conference in Eastern Europe for technology entrepreneurs hosted by Skolkovo Innovation Center. This article appeared on Skolkovo on 3 February 2017 in English.